Springs provide the counterbalance to the heft of a garage door, helping the opener do its job by taking the strain off of the motor. The two types of springs used in doors today are extension springs and torsion springs. Extension springs stretch and flex to store power in their coils, and torsion springs utilize a twisting motion to store power. Torsion springs are the newer option and are safer and more durable than extension springs. You can choose to upgrade your springs from extension to torsion when they need to be replaced, or before then if you want the added security of new springs. Always let a professional replace your springs to ensure that your door is safe to use. 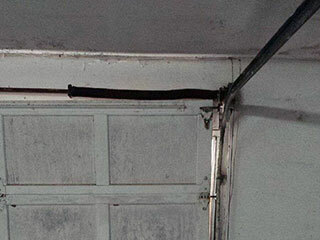 Broken garage door springs can burn out your motor or can cause your door to be slanted and cockeyed while unable to move either electronically or manually. Worn springs and worn cables can also increase the strain on your opener. Because of the nature of what springs do, a qualified technician should always repair them. We are trained to recognize the underlying issues, safely dismantle your springs, and make sure that your new springs are properly balanced. Bad springs can damage a number of parts on your door, but with the right help, they don't have to be an issue for long. Let us provide you with the assistance you need to repair or replace your springs and get that door moving again. Garage Door Repair Newcastle carries the best in springs so that you're always satisfied with the quality of your replaced parts. Contact us to set up an appointment with one of our trained technicians and get fast, reliable help.